When you want come to Alaska and see it all, and do it all at your pace. This private custom tour completes your buck list. There is no way to give the itinerary for this as it is whatever you want it to be. Often this tour includes covering much of the state in one to two week periods. Knocking out goal after goal, seeing as much as we can within your budget and time frame. We will pick you up from Juneau, Fairbanks, or Anchorage and your tour can end in any one of those three cities, it doesn't have to be the same as your arrival city. There's a lot to see so why double back if you don't have to. Arrive in Anchorage as we travel along Cook Inlet, visit the resort town of Girdwood, do a day cruise in Kenai Fjords, fly around Denali and walk on a glacier, do a remote drop off backpacking trip in the heart of Wrangell-St. Elias National Park where you can go a full week without seeing another human. Drive up the haul road through the Brooks Range, whale watching in Juneau, flightseeing Glacier Bay National Park, get up close to Alaskan wildlife. Take a bush flight and land in the arctic circle. Try living off the grid in remote Alaska. The possibilities are endless. Contact us to see how we can make your trip to Alaska one of the greatest trips of your life. *Some tours require partnering with third party guides, outfitters, and companies. These expenses will be covered by Alaska Guide Co. within your tour quote. Liability while on third party tours, rest with third party hosting. 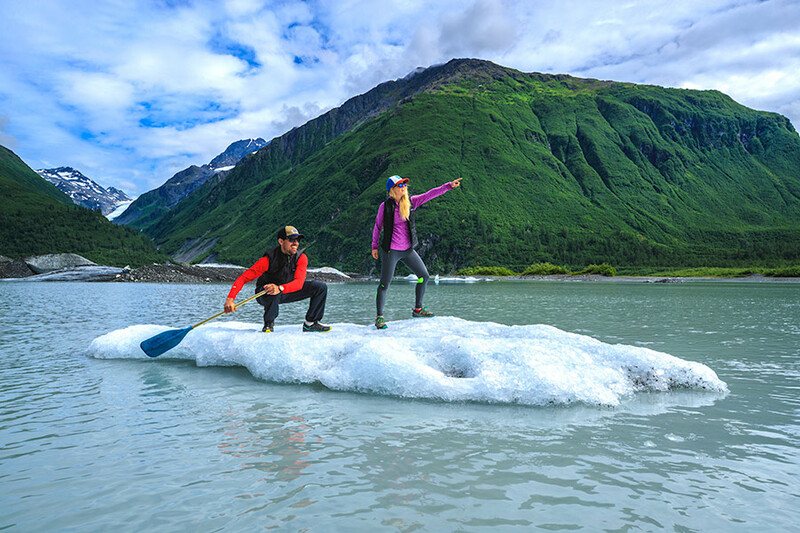 Get the most out of your Alaska vacation with our private guided bucket list tours. While in Talkeetna with Denali in the background on a family tour. Exploring the Chugach at Alyeska. Riding the gondola up the mountain in Girdwood, on a custom tour. Everyone gets excited for the Denali flightseeing tour out of Talkeetna. Stopping to look at the Copper River while on a tour to McCarthy. A guided tour around Kenai Fjords. Getting to ride behind a dog sled. Tours can include some of the best hikes in Alaska. If you ever wanted to camp by a glacier our tours can accommodate that. Sail around Prince William Sound on your buck list tour. Explore unnamed glaciers and bring some furry friends. Ride a snowmobile to the top of a mountain our you bucketlist tour. Have you ever wanted to climb down inside a glacier? It's all possible on our custom tours. Guided trail rides through Wrangell-St. Elias National Park. Travel out to historic sites like Kennecott Mine. Travel to Denali National Park and become one with nature. Travel the Alaska highway and stop to watch a herd of bison. Ride snowmobile on your Alaska bucketlist tour. See Tlingit artwork and totem poles in Southeast Alaska. For those who are passionate about trail running. Alaska has some great trails with amazing views. Ride the Alaska Railroad and see the amazing sights from the train. What custom Alaska tour is complete with out a whale watching tour? Get close to wildlife on your adventure tour. Really close. Fly to the Arctic Circle. Feed a moose and make a new friend on your custom Alaska tour. Gaze into the blue pools of a glacier.